The rugby league world had to wait, and wait, and then wait just a little while longer for the big reveal. Welsh ex-banker Dave Smith resigned as NRL supremo in October 2015 after a somewhat turbulent three-year stint. Racing’s Spring Carnival came and went, Christmas trees were ornamented and then boxed up, footpaths were coloured red and orange with fallen leaves, and before we knew it two rounds of the 2016 season had already been played. And there was still no replacement for the chief executive who infamously failed to name Australian Kangaroos skipper Cameron Smith. Finally, in mid March 2016, after exhausting all leads in its costly pursuit of an international figurehead, and then putting 30 strongly credentialled corporates through an intensive interview process, the Australian Rugby League Commission realised the right person was under its nose the whole time. 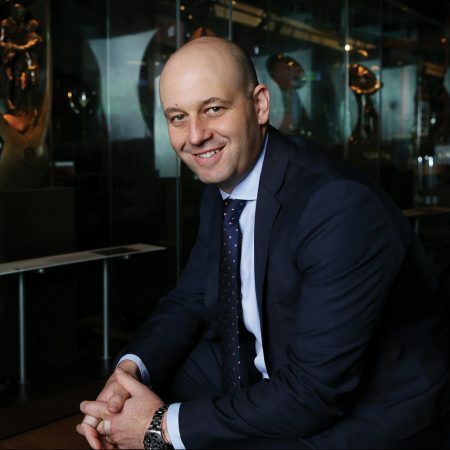 In Todd Greenberg – the NRL’s then Head of Football – they had an administrator who understood the game inside and out. There was never going to be any danger of the former Canterbury Bulldogs CEO mixing up star players Ben Barba and Benji Marshall, like his predecessor did at the 2013 season launch. More importantly, Todd had already proven he was an innovator and strategic thinker. In his role as Dave’s right-hand man, he lobbied hard for the multimillion-dollar investment into a central command centre for video refereeing decisions, which would become known as ‘the bunker’. There was no shortage of opposition at Rugby League Central, but he continued to champion the cause, unwavering in his belief that the end product would not only improve the accuracy of refereeing calls but provide greater transparency for spectators. The bunker was unveiled in the first round of the 2016 competition and opened to rave reviews. The credit was all his, and assured his promotion to CEO less than two weeks later. “While you have a responsibility to protect the core fabric of the game, you also have to be brave enough to encourage innovation and ensure the game keeps evolving,” Todd tells The CEO Magazine. “The introduction of the bunker, or what really is a central review technology arm, was a first for Australian sport. There are overseas sports that have been using similar technology for a number of years, but we’re the first sport in this country to use it." It’s often said that a week is a long time in football, so it’s no surprise that it only took two months after his move into the hot seat for Todd to be confronted with the first significant test of his leadership. Parramatta was found guilty of severely rorting the salary cap, and all eyes were on the new chief executive to see what punishment he’d hand down. He stripped the Eels of the preseason Auckland Nines title, docked the club 12 competition points, effectively ending their finals hopes, and then delivered a fine of A$1 million. It was a firm and, in the opinion of most, fair penalty, but it was the character he showed in divulging the gut-wrenching verdict to the players in person that really impressed. In a role like this one, you have to blend strong leadership and clarity for punishment with compassion. Since the salary cap breach, there has been a seemingly relentless procession of headline-grabbing transgressions – from domestic violence allegations to players associating with known criminals, and even positive tests to illicit substances. Of course, these slights on the NRL product are not reflective of the man in charge, but, as Todd explains, they certainly impede his ability to forward-plan. While he may have his detractors in the public sphere, he has never had an issue with popularity at Rugby League Central at Moore Park in Sydney. Mainstream media reported that a survey conducted by a reputable agency at the end of 2015 revealed a toxic culture within the headquarters’ walls. The only department that received a passing grade was Todd’s Football Operations division. Needless to say, his ascension to the top job was widely applauded by the disillusioned workforce. With the support of his staff, who are “strong, diligent and professional”, and his “experienced and high-calibre” executives, Todd has managed to remain focused on setting the NRL up for a prosperous future. Not an easy task for someone whose plate is regularly brimming with issues demanding his immediate attention. Even when this interview took place, not only was Todd in the process of selling the NRL-owned Newcastle Knights to The Wests Group, and responding to allegations of a salary cap breach at the Manly Warringah Sea Eagles, but he was also in the thick of negotiations with club bosses and the Rugby League Players Association over the collective bargaining agreement. “People will continue to talk about the strength of our broadcast ratings and the quality of our TV product, which is great. But behind the scenes, over the past five years particularly, we’ve worked extremely hard to drive non-broadcast revenue,” he reveals. “That’s our partnerships, ticketing, major events, merchandising; all those sorts of things. It’s important to maximise the game’s earnings so we can distribute it back to our key stakeholders – the players, clubs and grassroots rugby league. To put our efforts into perspective, back in 2012, the non-broadcast revenue of the game totalled about A$80 million annually. At the end of the 2017 cycle, we will pass the A$145 million mark. “I’m a person who likes to keep it as simple as possible, to not talk in clichés, and just keep it straight and to the point. My message has been simple and clear from the outset. Our goal is to get more people playing the game and more people watching the game. More people playing the game is at all levels, whether it’s registered rugby league players in junior grades through to women’s league, or tag and touch football, and all those sorts of recreational pursuits that are related to footy. Our goal is to get more people playing the game and more people watching the game. “Then, more people watching the game has three elements. Clearly, it’s people in their lounge rooms watching games through our broadcast partners and attracting strong ratings, it’s also big crowds filling stadiums, and third, it’s allowing people to engage with the game through our digital offerings. That’s our mission; that’s what we’re working towards. As well as the blue-chip men’s first-grade, partners and sponsors are tripping over each other to get a piece of the women’s game, which has exploded in the past couple of years. Blockbuster test matches between Australia and New Zealand, and high-quality interstate challenges, have noticeably increased the profile of the game’s female athletes, and Todd plans to capitalise on this interestby focusing on the grassroots level. “The largest-growing segment in rugby league at the moment is female participation. We’re growing at nearly 20% annually, and that’s across traditional forms of the game but also through league tag and touch football. So that obviously presents a tremendous opportunity for the sport,” he explains. The largest-growing segment in rugby league at the moment is female participation. We’re growing at nearly 20% annually. “We have focused heavily on our Australian Jillaroos program and we’re starting to see it pay off. 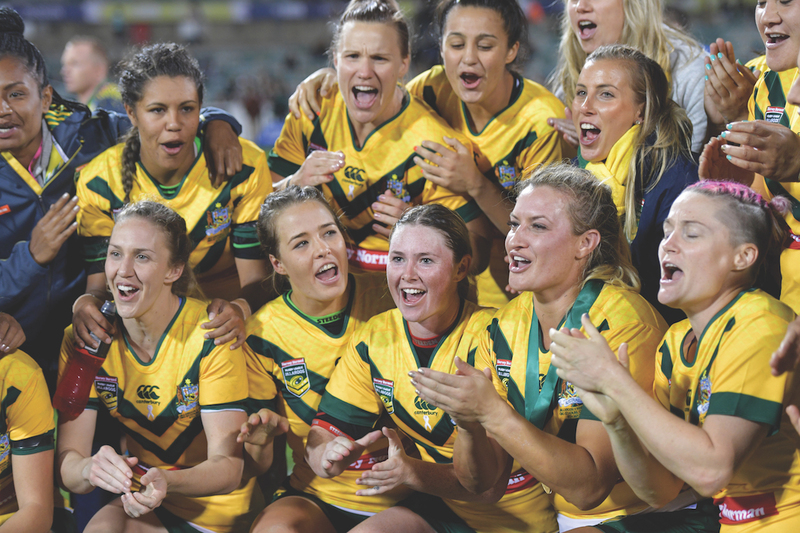 The Jillaroos are now playing on the same stage as the Kangaroos during international test matches and getting free-to-air coverage to showcase the game across the country to a much greater audience. Facing ever-increasing competition for junior participation, with AFL and soccer skyrocketing in popularity, the women’s game is an important market to focus on – as is participation outside the strongholds of Sydney and Brisbane. While Todd made the tough call to scrap the annual City vs Country clash, he has tabled the prospect of taking more regular-season NRL games not only to regional areas but to non-traditional markets. “I think anyone looking at it objectively would tell you that the concept of City–Country was born in a time that was very different to what’s happening now, particularly with the demands on players,” he responds. “So I don’t want people to think that’s anything other than the game continuing to make change where it’s needed. It’s not a sign of any disrespect to regional centres; in fact, we’re looking to play more games in regional New South Wales and Queensland than ever before. We think we can make a real difference in some of those communities by giving them premiership games. We’ve also taken games outside traditional hubs to regional cities like Cairns, Darwin and Perth. So too is it fantastic to see a leader entertain the broader public through regular fan forums and social media interaction. After all, it is a business that relies on its fan base. As Todd reveals anecdotally, it’s not just his three younger brothers who keep him grounded. Boasting one of sport’s most savvy governors, the NRL’s future appears far more rosy than it did this time two years ago. 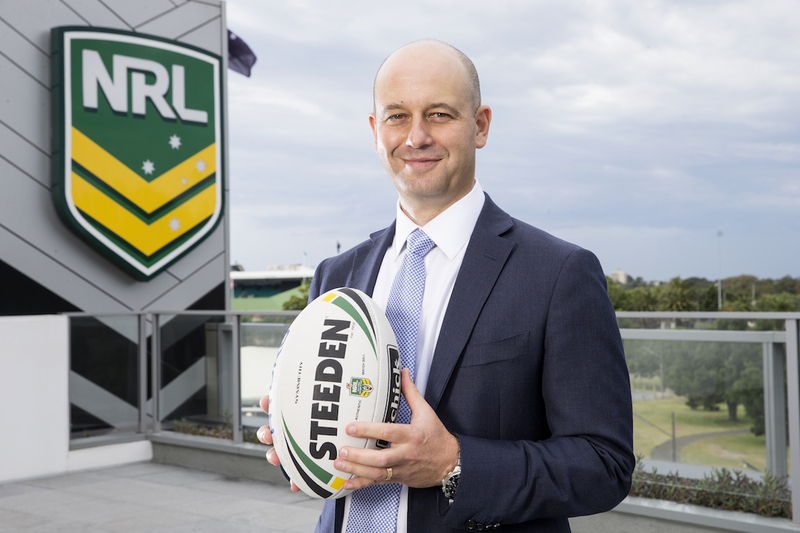 “One thing that I’m absolutely certain of is that large sport – and large sport that’s as engaging as rugby league – will continue to thrive,” he enthuses.